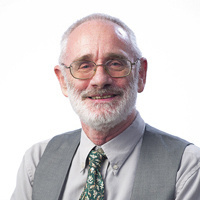 Peter Brimblecombe, PhD, is Chair Professor of Environmental Chemistry at the City University of Hong Kong. Sponsored by the Environmental Humanities Program and by the Jesse. L Rosenberger Seminar Series of the Center for Energy & Environment. Abstract: Pollution is as much a social entity as it is a meteorological one, and so the human perception of air pollution is key to our understanding. We can learn much about these perceptions of air pollution through the way it is represented in art, literature and film. This lecture will examine these representations with a focus on some key works of art, but also question the underlying context in both scientific and artistic terms to explore the way our understanding of air pollution has been enriched by artistic traditions. The lecture will also explore the impact that air pollution has had on artistic sensitivity.